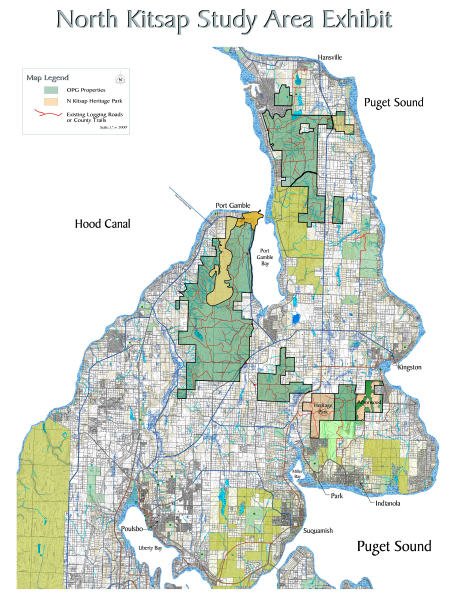 Is Kitsap becoming kayak capital of Puget Sound? Among locals, the Kitsap Peninsula has long been known as a great place to go kayaking, but now the 300+ miles of shoreline are quickly becoming a destination for out-of-area folks. Kayakers paddle near Port Gamble. 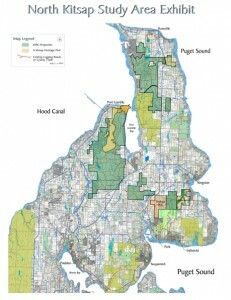 A new map of Kitsap’s shoreline features has been produced for the paddle crowd by the Kitsap Peninsula Visitor and Convention Bureau. The map is helpful for those trying to identify stopping points along the shoreline — whether one wants to spend days on the water or just a few hours. Patricia Graf-Hoke, manager of the visitor bureau, said she believes it is the first map of its kind in Washington state and may be just the second or third in the nation. Tourism on the Kitsap Peninsula is growing, she told the Kitsap Regional Coordinating Council last week. As a whole, it is becoming a major industry and one of the largest employers in Kitsap County. 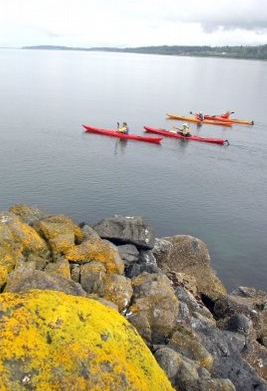 In a Kitsap Sun story about the new map, John Kuntz, owner of Olympic Outdoor Center, told reporter Rachel Pritchett that more than half the people who paddle around the peninsula come from somewhere else. “It’s definitely a part of tourism that Kitsap County hasn’t really embraced in the past,” Kuntz was quoted as saying.